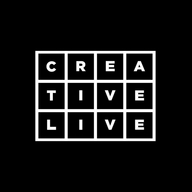 CreativeLive is the world's largest live streaming education website. Take classes taught by the world's most inspiring instructors in creative topics like photography, design, craft & more. Join CreativeLive and start learning today: Get Started!